Taste NY, which promotes agriculture from the Empire State, hosted an expo in Manhattan last week that highlighted craft products. More than 50 producers from around New York poured their latest small-batch offerings. The whiskey market does not lack for traditional bourbons or Scotch. As Millennials discover and move through the brown-spirits category, sipping every Kentucky Straight bourbon in sight, inevitably they’ll need something new and different for their developing palates. Which is why we’re seeing a rise in unusual mash bills and production techniques. Van Brunt Stillhouse of Brooklyn is a good example. This craft distillery poured its “American Whiskey.” The spirit’s four-grain mash bill — mostly malted barley and wheat, with some corn and rye — does not fit the usual whiskey categories. The result is a pleasant medley of flavors which should appeal to anyone who’s had few too many bourbons that taste alike. Van Brunt Stillhouse also sampled their American Single Malt. This emerging category is Scotch by another name (since it’s obviously not made in Scotland), with dramatically different production methods. Typical Scotch uses just one variety of malted barley. Eight-to-nine malts go into Van Brunt Stillhouse’s single malt. Scotch is never aged in new barrels. Van Brunt Stillhouse ages their single malt in new, small barrels. The end result is a creative and distinctly American take on Scotch. Look for the overall American single malt category to continue to gain steam as it provides consumers with alternative flavors. “The Scotch consumer is a bit slow to understand American single malt, but the bourbon and rye drinkers are much more open to it,” explains Daric Schlesselman, Van Brunt Stillhouse founder. Elsewhere, Finger Lakes Distilling is making bourbon with a bit of wheat (rather than their typical mash bill with a little rye). “There’s a place for both wheat and rye bourbons, but you’re seeing a higher consumer interest in the wheat right now thanks to the Pappy Van Winkle craze,” says Brian A. McKenzie, the distillery’s president. 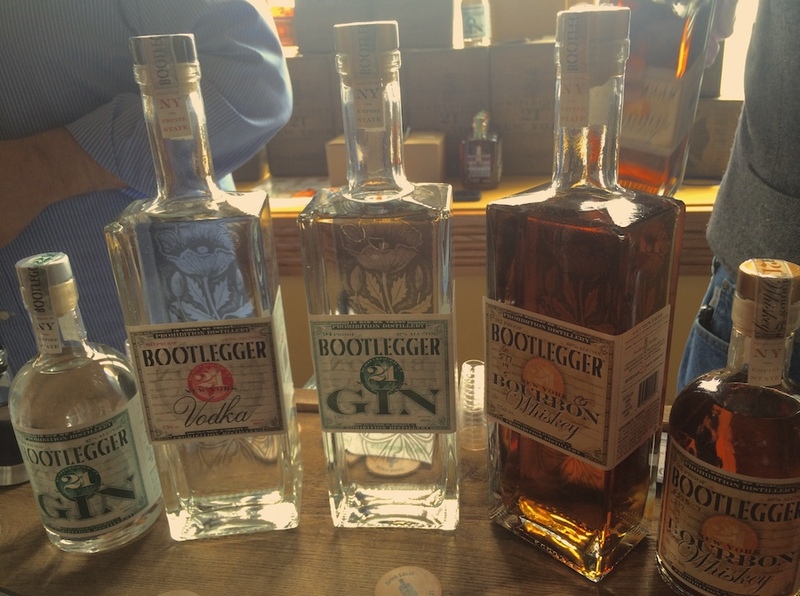 One problem in craft whiskey now is new distilleries releasing product too soon. They do this to recoup launch costs quicker. It’s not easy, of course, to sit on aging stock for five-to-eight years when you’re a new company with bills to pay. Hence the rise of underdeveloped brown spirits that taste like distilled cereal. Rushed, subpar product helped burst the craft beer bubble in the ‘90s, so there’s some reason for concern that unripe whiskey could turn off consumers from the overall craft spirits industry. But this problem is probably not widespread enough to do that much damage. Some new companies are getting around this issue by buying matured juice from big distilleries and then bottling it as their own. Others, like Prohibition Distillery, have simply figured out how to make good young whiskey. “At one tasting our 14-month-old Bootlegger Bourbon accidently got mistaken for an eight-year-old and was put on the judging table with whiskeys of that age,” recalls Robert C. Mack. While Bootlegger Bourbon might not taste quite that old, it certainly tastes like a lot more time went into it than just 14 months. Their secrets? A 100% corn mash bill, Mack says, which he believes is a recipe for whiskey that ages better. Also, the distillery aged the whiskey in five-gallon barrels, well below the traditional 53-gallon barrel, meaning more oak contact for the juice. Young whiskey doesn’t have to mean bad whiskey. No surprise, of course, but nearly — if not every — brewery had one IPA or more. What was noteworthy was the continued stratification of this subcategory, which now includes everything from light session ales to tropical fruity beers to those juicy hazy New England IPAs that are the color of orange juice. Hard to imaging that the IPA craze will slow down as this subcategory continues to expand and diversify. After IPAs, the next most common beer at the tasting was the good old brown ale. 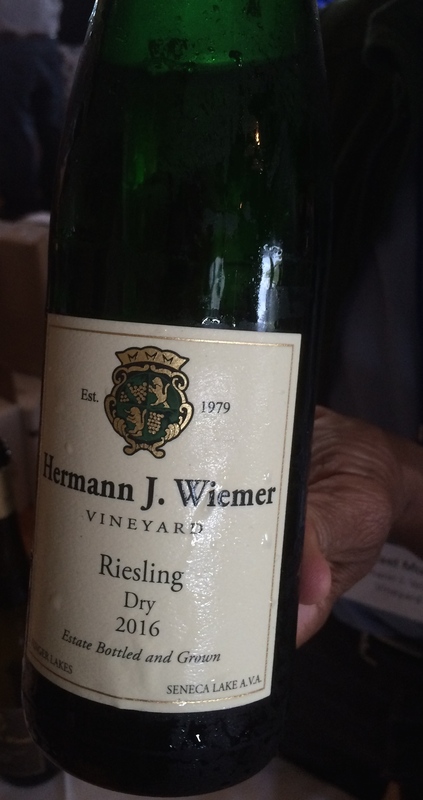 Oskar Bynke of Hermann J. Wiemer Vineyard says that of the 14,000-16,000 cases of wine the company produces annually, 5,000-7,000 are dry riesling. We all know that wine adage: consumers talk dry but drink sweet. Or do they? Plenty of New York wineries poured rieslings and rosés, and just as many were dry as were sweet. All the winemakers I spoke with had noticed an uptick in their sales of dry. Oskar Bynke of Hermann J. Wiemer Vineyard says that of the 14,000-16,000 cases of wine the company produces annually, 5,000-7,000 are dry riesling. And the vineyard produces the entire riesling spectrum: sweet to semi-dry to dry. “We serve riesling flights at our vineyard to help teach consumers that riesling is a versatile varietal that runs the full gamut,” he adds. Kyle Swartz is managing editor of StateWays magazine. Reach him at kswartz@epgmediallc.com or on Twitter @kswartzz. Read his recent piece 7 Wine Trends To Watch In 2017.